NEW! Our ever popular Esme monogram now available on beautiful hemstitched table linens in over 101 colors. 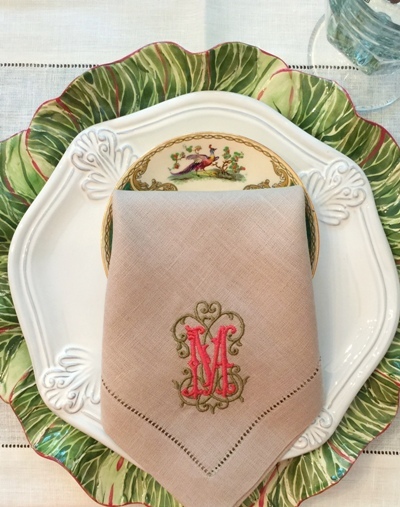 Monogrammed tablecloth and table runner includes one corner or one end. For additional corners or ends, please add below. These make wonderful gifts and all arrive in a gift box with ribbon. Sold in sets of 4. Prices below include the monogram.